Tasc R30 with SB30 Smartboard, all the accessories and boxes. Tasc R30s arrived in July 1993 with a 2.2 version of Johan de Koning’s program The King. 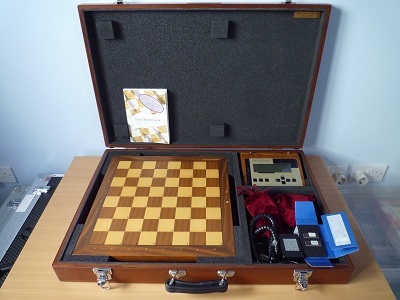 The King had achieved a string of impressive results at World Microcomputer Chess Championships, 4th at Lyon 1990, 3rd at Vancouver 1991, and 2nd at Munich 1993. The R30 made an immediate impact. Chess computer sales of the top end models had been drying up as PC chess software (like Fritz and Chessbase) running on ever faster hardware took over. 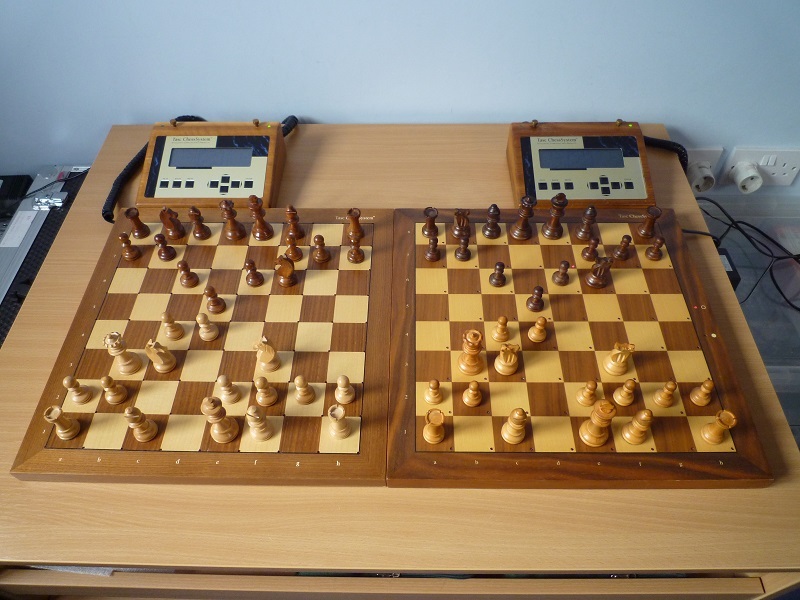 The PC software was much cheaper and more flexible and PC chess was no longer inferior to the best chess computers in strength either. 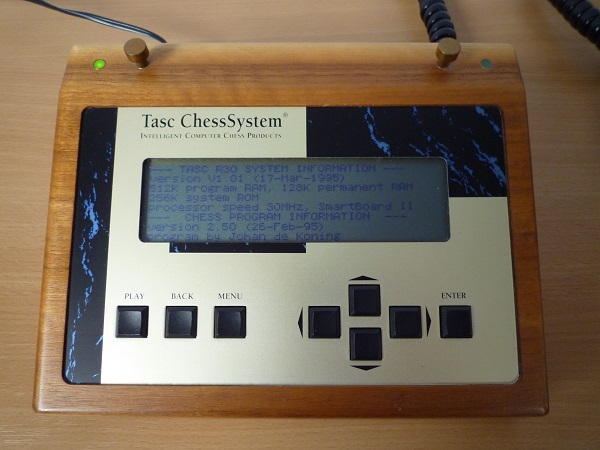 Anyway the Tasc R30 got rave reviews in Selective Search and Schach & Spiele and promised to more than match the advance of PC chess for a while. 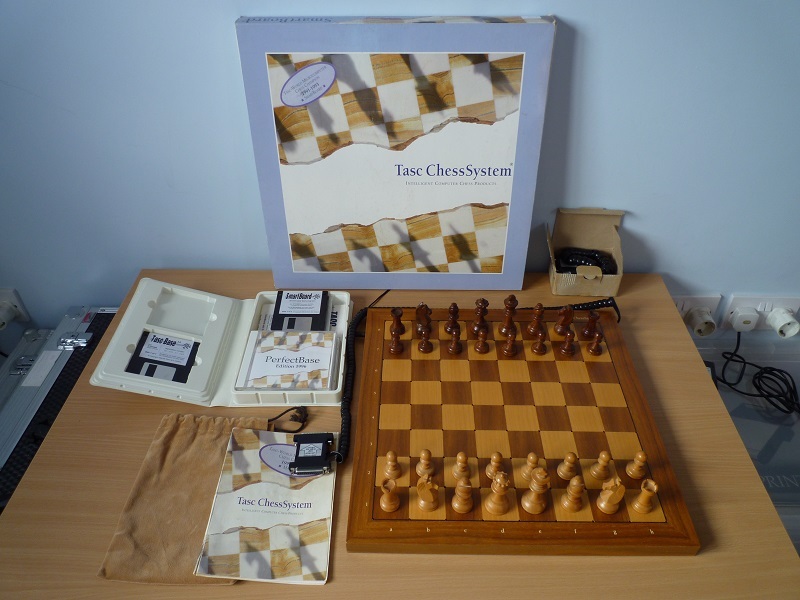 I bought one in January 1994 after weeks of agonising as to whether I should spend that much on a chess computer. Its list price was £1,495, but I paid £795 plus a Novag Super Expert B6 in part exchange. The price seemed worth it though as the R30 was a joy to use and went straight to the top of the ratings lists. The R30 really was a major step forward with it’s fast RISC chip, piece recognition board, impressive separate computer unit featuring a graphical display, comprehensive and easy to use menu system and all the options and information you could wish for. Add to this the quality components and finish all round. Of course, the other vital attraction was the 2350-2400 Elo playing strength. In 1995 a new version of the program 2.5 was released and I upgraded my R30 with the new chips. 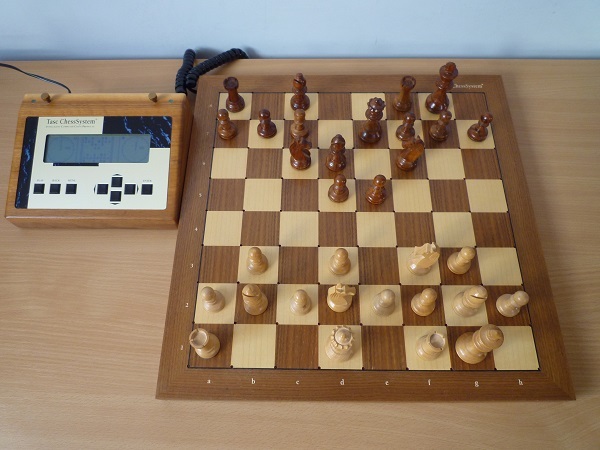 After the initial excitement generated by this wonderful new chess computer the PC wave of new software and faster hardware continued to take over the computer chess market. 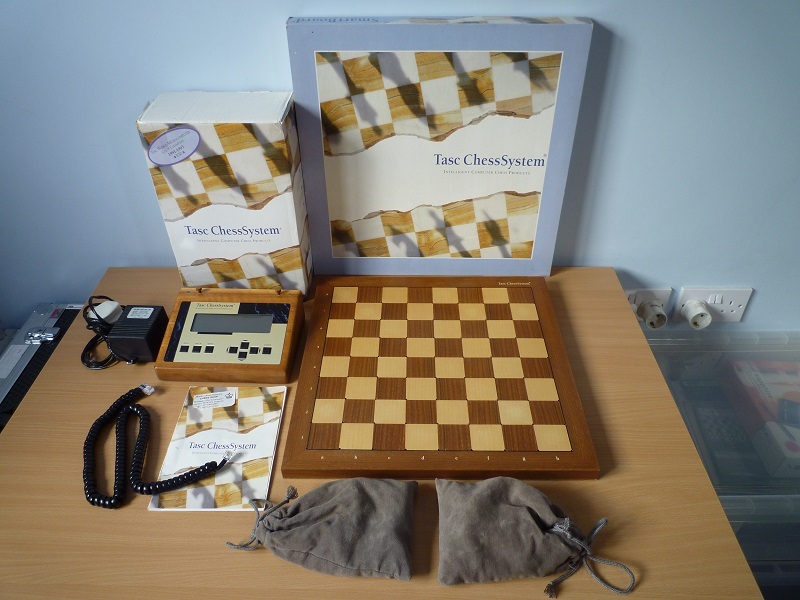 Like most others in the mid/late 90s I neglected my chess computers. The Tasc R30 stood on a table developing light spots and I remember at one point something heavy falling on the computer unit causing a large dent in the display surround. Shameful! 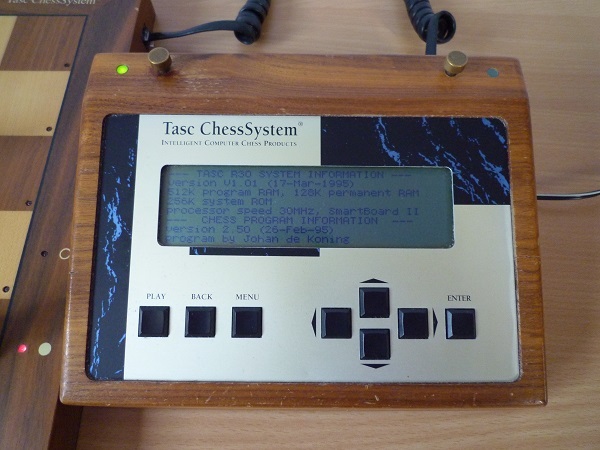 But with the revival in interest in chess computers the Tasc R30 is again rightfully one of the most prized and sought after models. To the extent that they are now selling on Ebay for sums around the original list price. On this webpage you will see two Tasc R30s. One has an SB30 Smartboard with small LEDs in all four corners of the squares, so 81 in total. The other has an SB20 Smartboard board with 64 LEDs, one in each square. 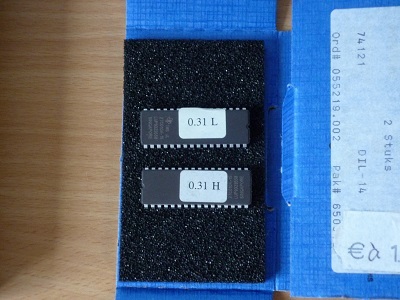 As well as two boards, two different piece sets were issued. They are not interchangeable and the later board and pieces do not work with the original 2.2 version program. 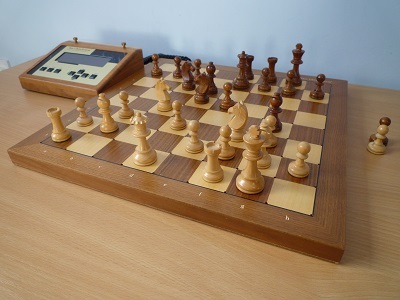 For more information on piece and board compatibility see this thread on Schachcomputer.info (link). You may need to Login and search on “Tasc Component Confusion”. Below and right are photos of a Tasc R30 with SB20 Smartboard plus Phoenix Case. The original 2.2 version program ROMs are also shown. (Please note SB20 Smartboards do not work with v2.2). Changing the program is relatively simple but requires care to avoid static and bending the ROM legs. 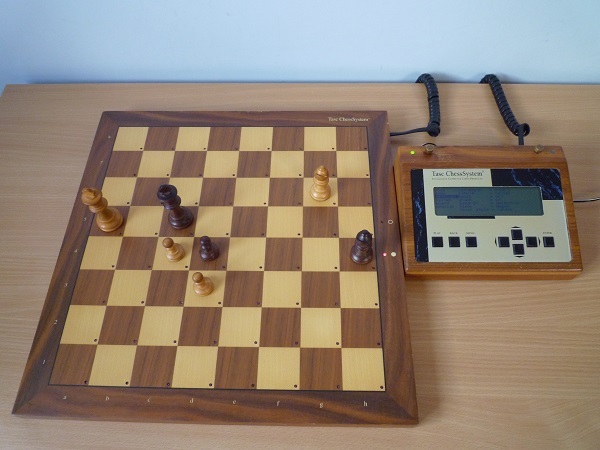 A further program version Gideon 2.3, programmed by Ed Shroeder, and similar to that used in The ChessMachine PC add-on card and Mephisto Risc 1, became available for the R30 (Type I Smartboard only) in July 2013 via Hans van Mierlo. Smartboards can also be used with PC’s via a special interface and software drivers. I have a further SB30 with PC interface shown below.